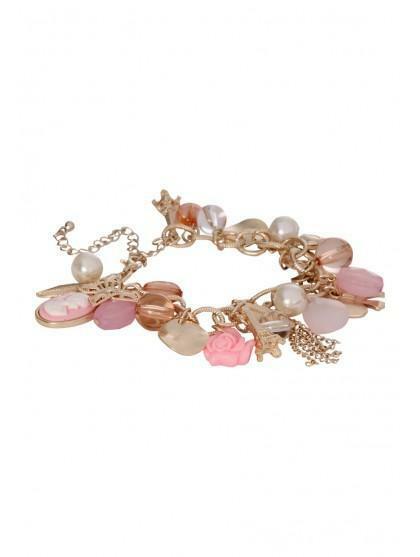 This pretty chain link charm bracelet is like a jewellery journey down memory lane. Brimming with opaque pastel beads and trinket-like charms, including Paris' iconic Eiffel Tower. It may not contain any precious stones but its sure to become a treasured keepsake in your collection.